Throughout the year, we offer programs and events to engage and empower patients, families and the community, including educational programs, health and wellness classes and our annual Cancer Survivors’ Celebration Walk & 5K. View the Lurie Cancer Center Event Calendar or explore the links below to learn about some of our recurring events. 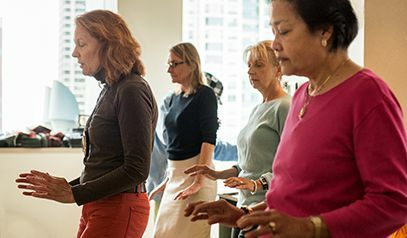 Our partners at Gilda’s Club Chicago host a wide range of activities at the Lurie Cancer Center. Journaling, jewelry making, yoga and art are just some of the free activities offered throughout the day. 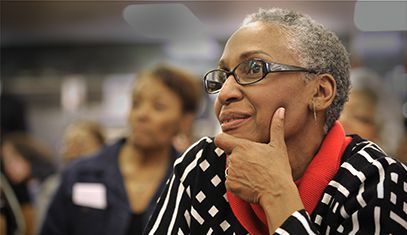 Our Cancer Connections breakfast events are held several times a year and offer wellness information, as well as the opportunity to connect with other patients and caregivers. 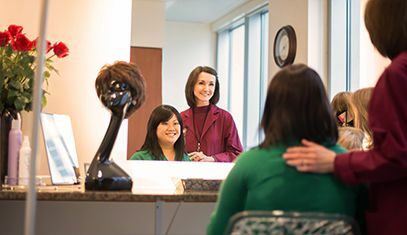 Programs including mindfulness meditation, wig and beauty workshops, and a variety of classes designed to help patients return to movement are offered to help manage stress and promote well-being. We host support groups for a number of cancer types and for caregivers as well. 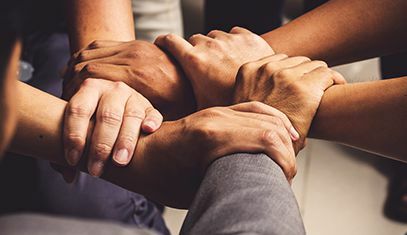 Visit our Support Groups page for more information.